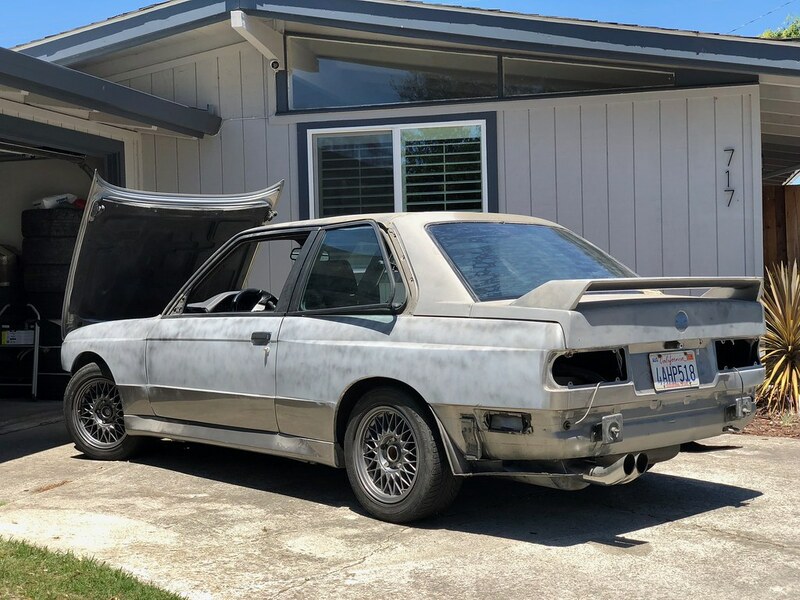 I am offering my 1988 BMW M3 project for sale. I bought this car in December of 2017 from South San Francisco, where it had been sitting in a warehouse for about 10 years. My intention was to paint the car and finish it, but I find that unfortunately I do not have bandwidth for the project. The body of the car was partially disassembled and sanded in preparation for paint before being shelved. 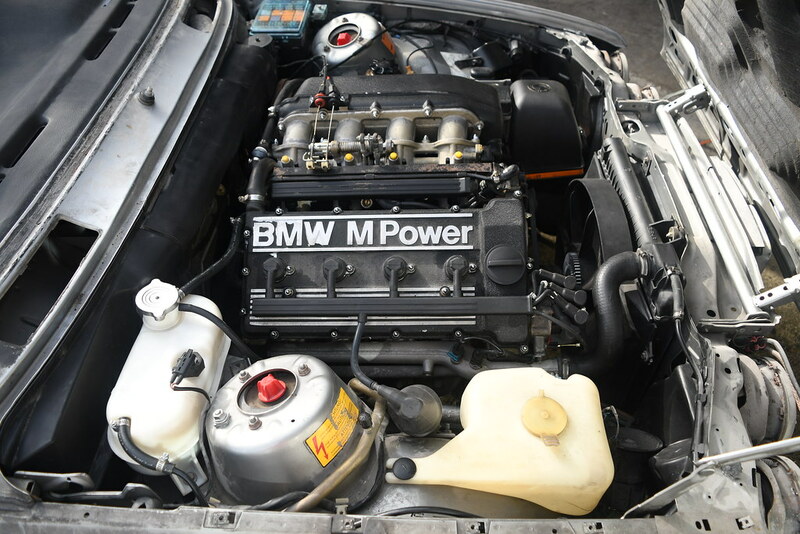 Despite its appearance, it runs and drives well and comes with all of the hard-to-find E30 M3 components. It is currently registered as non-op (no back fees) with a clean title in hand. 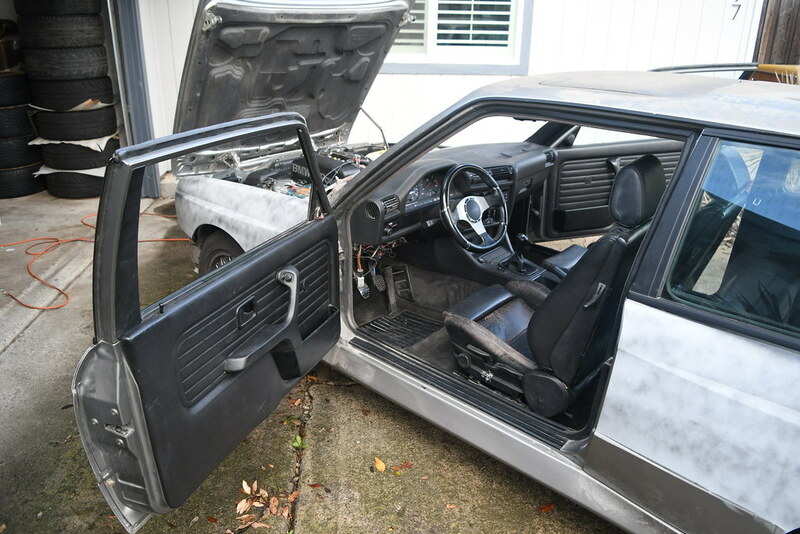 See photos for the full detail, but the body is partially disassembled and was half-heartedly prepared for paint. It is originally Lachssilber over black leather. Rust: there is rust in the lower corners of the cowl panel, extending a bit up the A-pillars. There is a small amount of corrosion on the tail light mounting tabs and in the battery tray area - see images for detail. 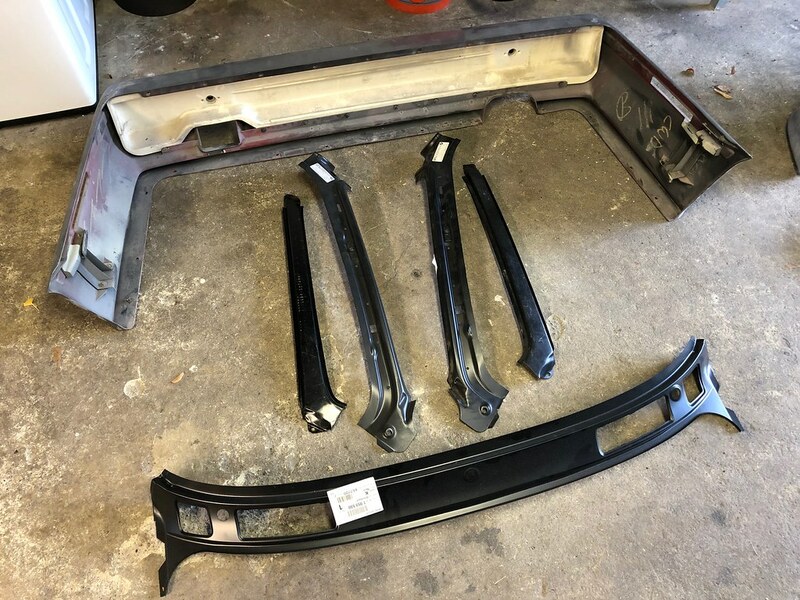 I have purchased new cowl, A-pillar inner, and A-pillar outer sheetmetal for both sides that will come with the car so you can graft in happy new metal. The frame rails and underside have the original undercoating and do not show signs of corrosion. VINs: VIN tags are present and correct for the following parts: cowl panel stamping; head (engine); dash pad; hood; front bumper; left fender; right door; right quarter; trunk. VIN tag is missing on the left door. VIN tags are present but non-matching for the following parts: right fender (DOT-R), left quarter; rear bumper. Paint work: I believe that the left quarter and door were replaced at some point. New quarter sheetmetal was welded in from a different car. The car must have run over road debris at some point, there is a dent in the rear-right footwell area and fuel tank. Other areas of the car show evidence of paint work that may have been done at the same time. The previous owner / long-term storer owns a body/paint shop. Original parts: I have, to the best of my knowledge, every M3-specific component with the exception of the little black cap for the antenna. (I see Markus can provide those at the moment). If you don’t see a photo of a critical part please send me a note and I’ll track it down for you. The car will come with new-in-box front and rear windshields from BMW. The S14 motor is stock, 2.3L, with no signs or record of having been rebuilt or overhauled. It runs well, I have not yet had it out for SMOG testing due to the state of the car. I have measured the compression at 210/217/210/218, this was with the motor warm, throttle open, and four cranks. My recent maintenance includes replacement of the fuel filter, air filter, spark plugs, cap, rotor, oil, and oil filter. Additional refurb includes a valve adjustment, installation of an S50 timing chain tensioner, new battery, and new accessory belts. I completed a refurb of the intake system that included new stupid-expensive throttle body gaskets (reinstalled with Turner paper gasket kit), new plenum and throttle body O-rings, new breather hoses, and cleaned/refurbished fuel injectors with VAC motorsports. The car came to me with an Evo lower air box and a baffle in the oil pan. Exhaust manifold looks like it’s held on with nice copper nuts. Issues to note: just as I am listing the car for sale, it has start to run rough (I believe rich) during the warm-up cycle. Once warm, it switches over and runs normally. The temperature comes up to about 3/4 on the gauge when stationary, but holds there - I haven’t serviced the cooling system. While I was filming the driving videos for the sale, the speedometer stopped working / works intermittently. The exhaust center section is a new unit with CA-legal cats from from DEC, and I replaced the rubber hangers and bolts/gaskets while I was in there. The muffler is whatever came with the car, it sounds pretty nice. The clutch feels like a stock unit, it performs well. The transmission shifts well. The car has a Dinan Stage 3 suspension, which is comprised of springs, Bilstein shocks, sway bars, and fixed camber plates. You can see in the images that the rear trailing arm bushings and subframe bushings are worn out, but the ride is okay as-is so it won’t keep you off the road. The brakes work fine, fitted with drilled rotors currently, and the steering rack feels tight. Testing of these systems has been pretty limited since the car can’t venture out on the road, but what I’ve experienced is positive. The car is on stock wheels that have been painted a dark silver with worn tires. The interior is very complete. 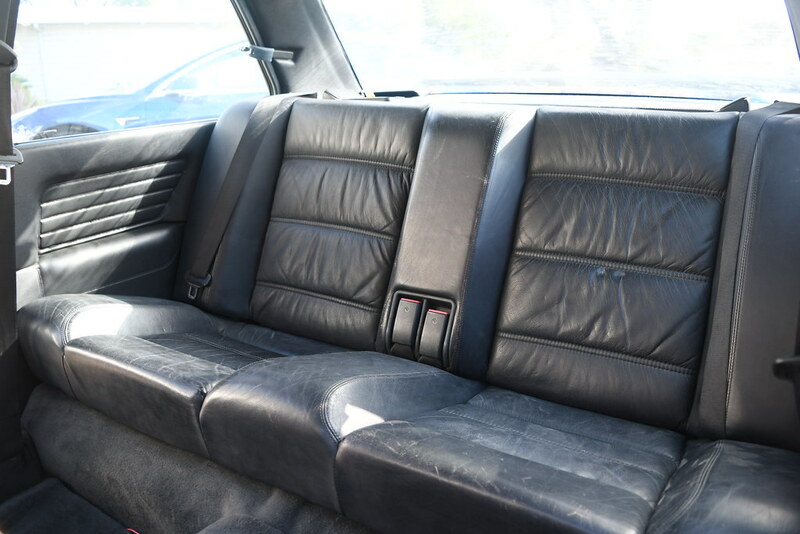 It is the original black leather - the seats are worn appropriately for the age and mileage, but are not torn or ragged. The dash doesn’t have any cracks. The car has an aftermarket Momo steering wheel and an aftermarket stereo system with head unit, amp, and speakers. 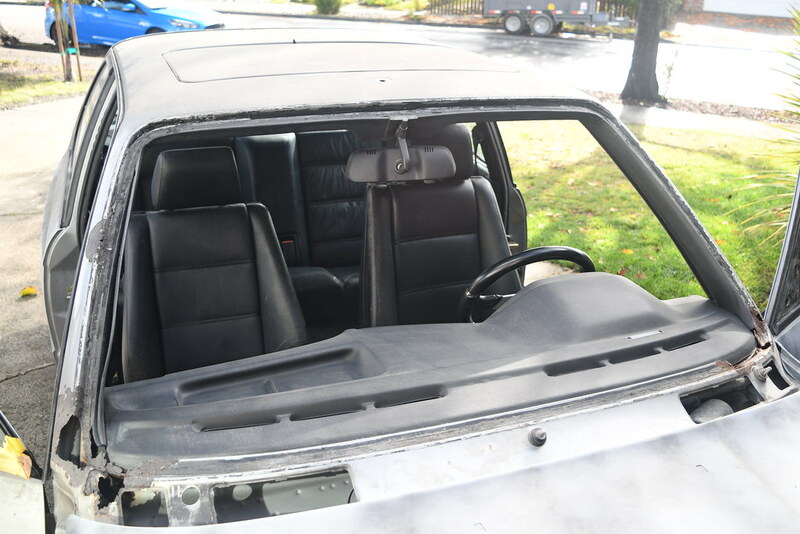 The panel that goes under the steering column is MIA, and the passenger window is not working, but in general all systems seem to be working. 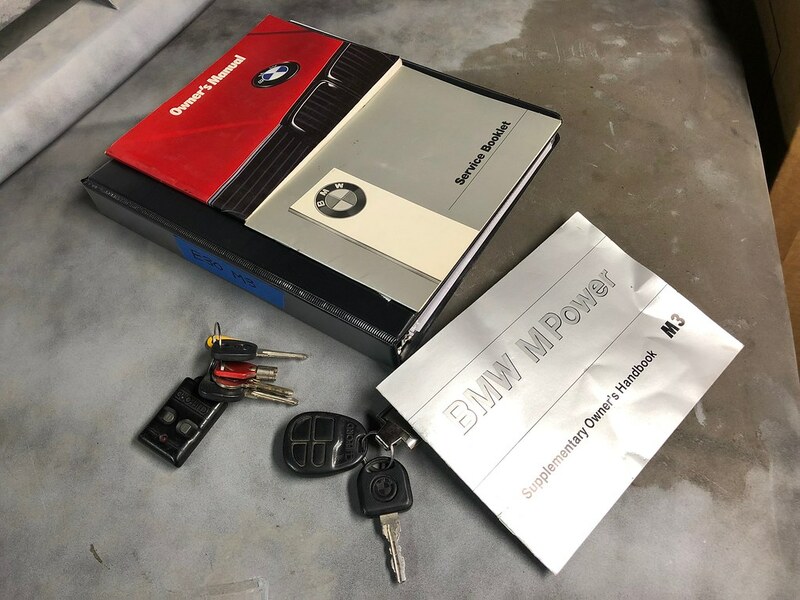 The car comes with some nice original components including the manual, supplementary M3 manual, and service booklet. You’ll get my records as well. I’ve covered everything the best that I can - please review the links provided at the top of the listing for additional information. Interested parties are welcome to come drive the car, but please understand that it can only be around my neighborhood while the sun is up (bring sunglasses… it’s a real wind-in-the-face experience). It makes me sad to sell this car, but I have too much on my plate to complete the work required. Fix it up, start a full restoration, paint it a crazy color, make a track car, it’s a blank canvas with a strong mechanical foundation. Asking $27,500 or best offer. Message me with questions and I’ll do my best. Cheers. Yes the market appears to be "cooling" a little but it could be this time of year. 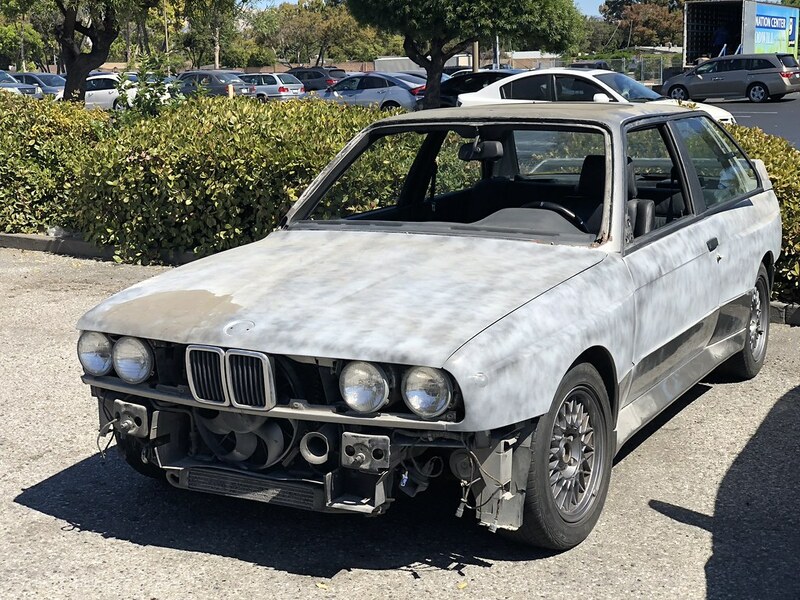 An e30 m3 is the 20-30k bracket is normally selling without the original drivetrain, or some other issue like the body. I think this car with a running driving S14 is fair value, and a good buy for someone who does bodywork for a living. I'm a mechanic so I bought one in this bracket with a blown engine. Remember these cars are super rare. 18000 produced and fewer survive. A car in this price range is still achievable for the everyday enthusiast. But a project all the same. Good luck with the sale. Might take a bit of time due to the time of year so sit tight. Pricing is stuck between a rock and a hard place. For a handful more you can have a driver with needs, for almost any amount less it's actually worth more to part it out. Of course I think that's a sorry ending for a complete car. I think people are busy with the holidays, if it comes down to it I'll see if BaT will list it. Listing now because my Skyline is coming in the new year. Curious if you're interested in a trade of any sort? I've got a clean '89 325is w/S50 and E30 M3 5-lug, new paint, etc., but have been looking to get back into a project M3 since I sold mine 5 years ago. PM me if you're interested. To echo what others have said above, this is an interesting car for sale at an interesting time in this market. I've seen some really decent drivers sell lately at $30-35k (but only between forum members), and some crappy non-runners as high as $20k. Weird market, for sure. Good luck! Thanks for the offer, at this time I am not looking for a trade. That is a beautiful e30 though, wow! Sounds good! LMK if you change your mind. GLWS! The car is sold. Thanks all for your interest and comments! Congrats on the sale. Someone on here buy it? Near asking? Friend end up buying it for fairly close to ask.